Flight from Shannon to Malaga on 1st October return on 8th October. Ryanair ticked all the boxes. We had reserved seats printed boarding passes for both flights weighed luggage beforehand purchased food on board treated with courtesy and friendliness by staff on the ground and in the air. Excellent and will travel again with Ryanair should there be a Shannon flight departing for our destination. 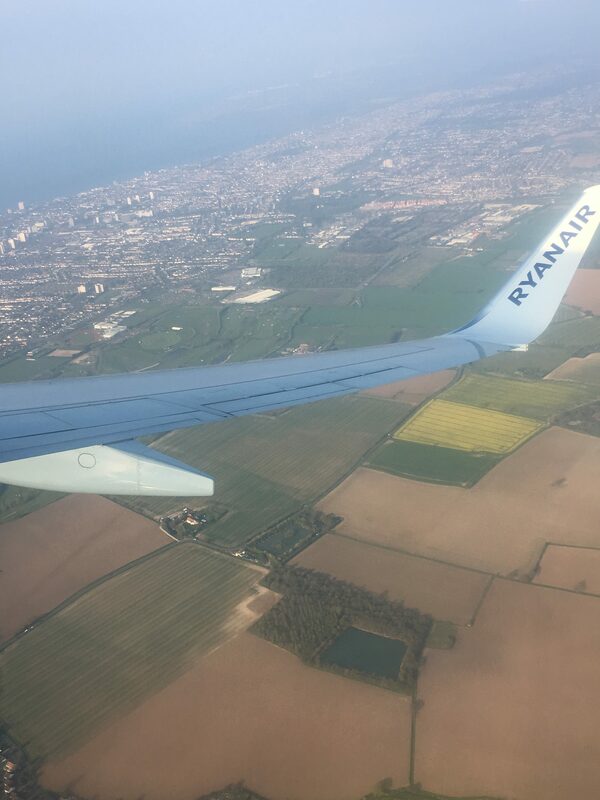 My Husband and I are frequent flyers with Ryanair for many years to and from the UK also to and from Carcassonne this year. I have to say we have never encountered any problems flights were on time as much as possible staff are courteous at all times and food is a good acceptable level. 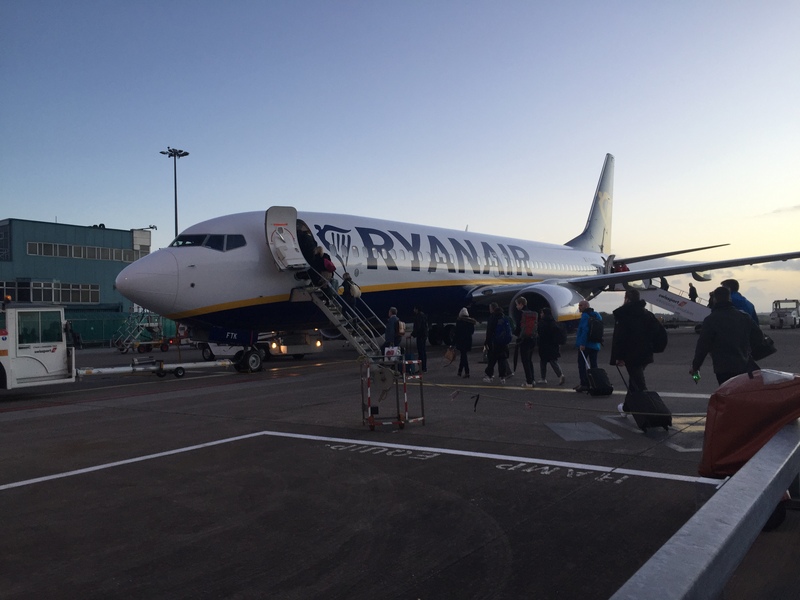 I do wish your Shannon - Bristol service would resume we really miss that service in the meantime we will continue to travel to Knock or Dublin or Cork to fly with Ryanair. Their seat reservation is also a good service. London Luton to Knock Mayo West of Ireland yesterday 16/10/13 on the 11.50am flight. I checked online before leaving and no reported delays. I also checked on the screen upon entering the airport at approx. 10.15am and again no reported delays (only information was flight information and check-in desk to go to). Then after going through quite a security queue I'd been informed by another passenger that the flight had been delayed until 3pm which was confirmed on the displays. The scheduled time then varied from approx. 2.45 to 4pm changing quite regularly. So after a considerable time spent waiting at the airport the flight finally took off well after 3.15pm (by this time I was sitting on the plane and too tired to note the time of takeoff). I would recommend implementing a free beverage/drink for all customers in cases where any flight is more than 2 (or 2.5hrs) late. As this would show an acknowledgement the apology by the company and would not cost the company very much in terms of stock. In fact I'd say customers might then opt for seconds for which Ryanair could charge resulting in profitable sales overall. In addition no information was passed onto the customers as to the reason for this delay. Dublin to Ibiza 8 Oct and return 15 Oct 13. 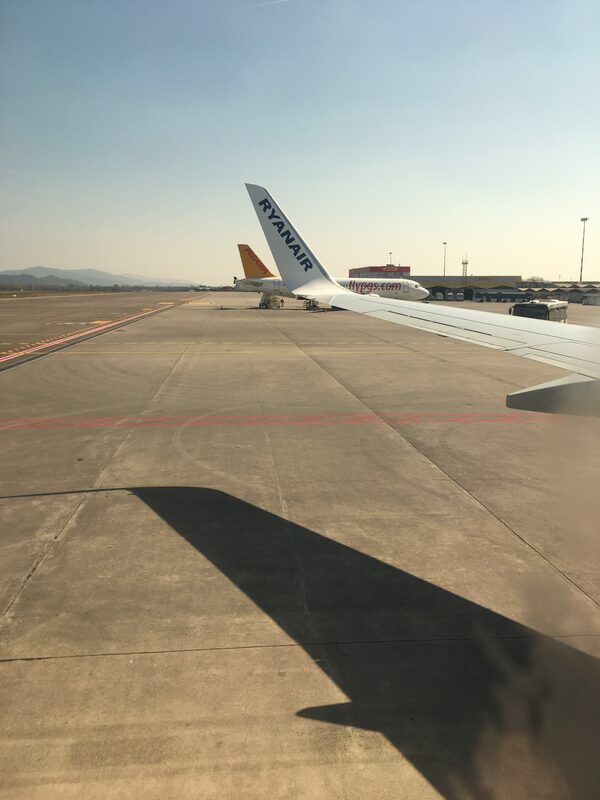 First time using Ryanair booked via an online holiday site and wasn't aware on booking that it was Ryanair. We had printed off our boarding passes and booked in hold luggage with smaller bags for hand luggage which fitted under our seats as due to the ridiculous size of hand luggage now allowed by most airlines have had problems in the past finding space above so I don't think it is worth the hassle this is by no means exclusive to Ryanair. Flight was good on time purchased only coffee at 3 euro don't think that is extortionate to pay. My complaints would be: 1) never having flew Ryanair I wasn't aware that it was unallocated seating and this caused a stampede for the seats. 2) due to the quick turnaround the plane was not cleaned between flights and the floor at my seat was covered in used tissue. From Dublin priority boarding did get on first but coming back in Ibiza everyone put onto a bus at the same time priority boarding let off a few minutes earlier but hadn't completed boarding when the next lot got off so I don't think I would pay for PB if flying with them in the future. Yes would use again but not if on a longer flight as wouldn't want to be separated from my travelling companion on a longer journey. 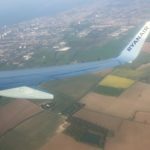 Although the vast majority of Ryanair staff we encountered on our flight from Bournemouth Airport were helpful and polite the first woman we encountered on check-in was utterly obnoxious. We had arrived 11 minutes before check- in was to close and no other passengers were queuing except ourselves yet the woman did not meet us with a professional greeting of good morning but barked at us 'You have one minute to process your baggage' and as my husband's suitcase was over the weight limit was unhelpful in resolving the situation and refused to allow us to pay a fine there but only when we had removed the offending items and struggled with them to the departure gate. My husband and I were stunned by this aggressive attitude and absolute lack of professionalism. The struggle to find available seats once we boarded was chaotic and with many crying children was a stressful experience. We returned via a Thomson flight which was an absolute delight by comparison. Suffice to say we will never fly with Ryanair again. Rome to Paris. Disgusted at being charged £70 as I hadn't printed my ticket off. I know they have rules but what a ridiculous amount to charge for a piece of paper. There is no consistency and am unlikely to fly with Ryanair again. 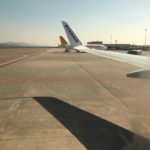 We used Ryanair flying from Manchester to Malaga 7th October returning on the 14th we flew as a family of 3 adults and 3 children aged 11 2 and 6 months. 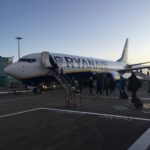 after hearing all the horror stories around Ryanair we were feeling quite sceptical however we were impressed with the service they provided they were friendly helpful and informative and we had no problems at all. Madrid-Paris (Beauvais) and return (26-30 September 2013). Perfect flight as always on time both ways. Beauvais is a nice small Provincial airport near Paris no long runnings over the tracks as in Barajas Airport or Schipol or Gatwick. Just 200 meters from the small airport terminal and the plane is taking-off. I fly Ryanair often have flown more than 40 flights and always on time. I recommend you pay for Priority boarding. Having queued early to get seats together due to no seat allocation. We got two seats together towards the rear of the aircraft and stored our luggage (not the maximum size but to large to go under the seat) in the overhead lockers. Only to have it remover by the flight attendant shoved in my face and when queried as to where I should put it as it didn't fit under the seat was told “That's your problem. I ended up with my luggage on my lap for the full 3 hour flight including take off and landing. I will never use them again. Stansted to Fuerteventura cannot believe that unless you priority board they will separate you from your children. Surely this cannot be a suitable situation in the case of an emergency how are under five's expected to understand the safety information.